Councillor Thomas holds a surgery on the first Saturday of each month at Lordshill Library from 10.30am to 12noon and on the fourth Saturday of each month at Coxford Community Centre from 10.30am to 12noon. Please phone 8032 0584 for an appointment at the Lordshill Library. Home visits by arrangement- please phone 8032 0584. 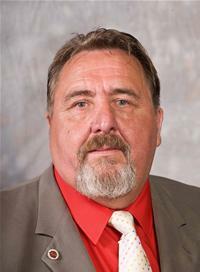 Councillor Don Thomas was elected on 3rd May 2007. He has a partner, Colleen, two grown up children and two grandsons. He has lived in Coxford all his adult life. Don is a member of UNITE Trade Union, and has been involved for many years in local issues. Being involved with many local campaigns such as “Save Oakland’s Pool”, “Save Sainsbury’s Right of Way” “Save Kentish Road Respite Open” “Save Our Libraries” and many more Don is determined to fight against the savage cuts to jobs and services. Don's interests include gardening, supporting Saints and socialist history.